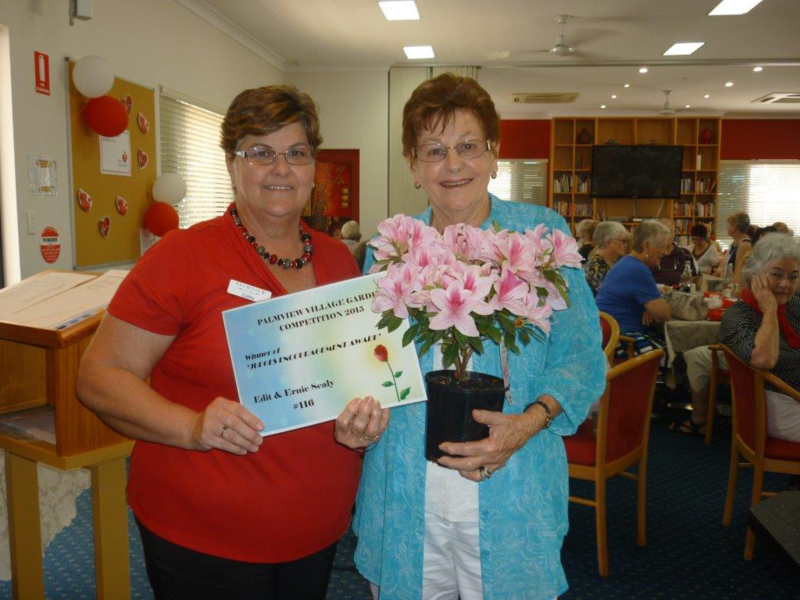 Our September Heart Foundation Morning Tea was very successful and enjoyable morning and as a community we raised $1,589. Thanks to all those who contributed in organising this great day and thanks also to all those in attendance. It is our Palmview Village community spirit that makes these events a success. 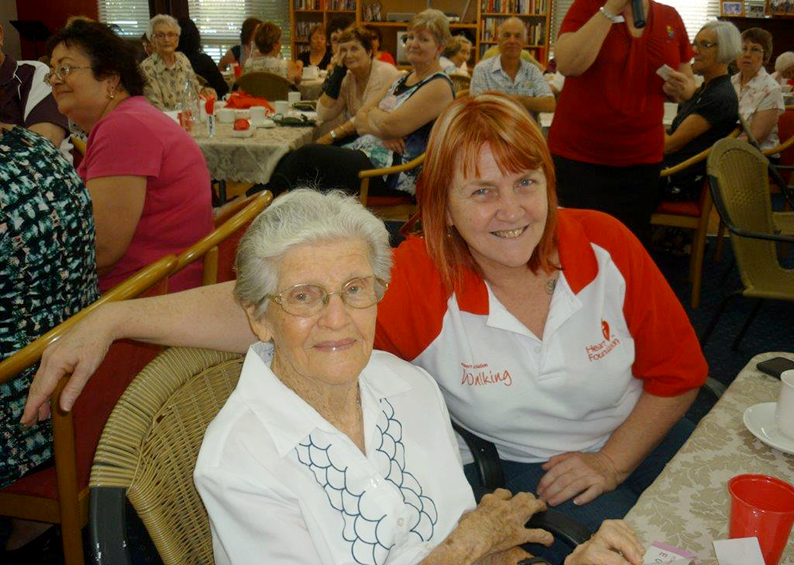 Photoed above is Danni Giumelli, Coronary Care Nurse from the Mater hospital, with a familiar face – Palmview resident Dorothy. Dannii gave an interesting talk on “What causes heart disease”, and feedback from you as residents say these talks are very informative every year. 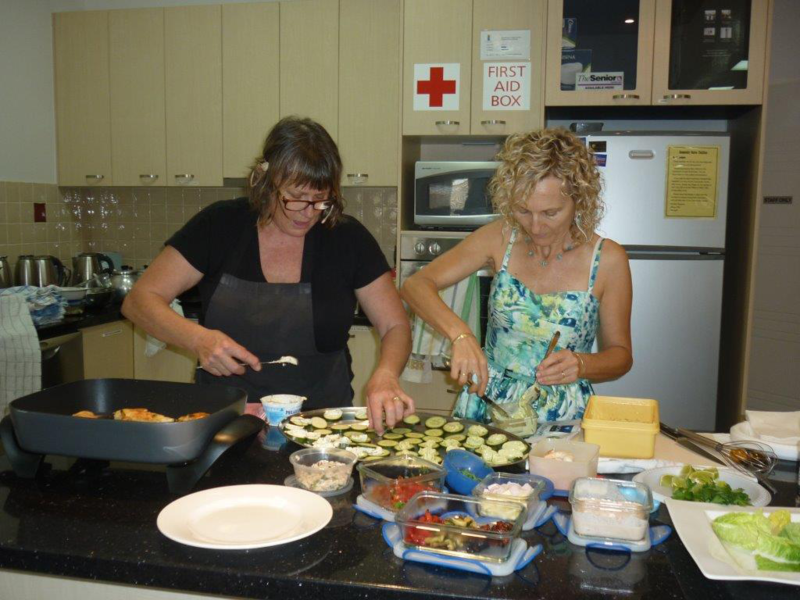 The healthy cooking demonstration by Jane and her offsider Jane was fantastic. We all thoroughly enjoyed tasting the end products and learnt a bit about healthy eating in the process. Edith, winner of the Encouragement award in our garden competition with staff member Lebbie.